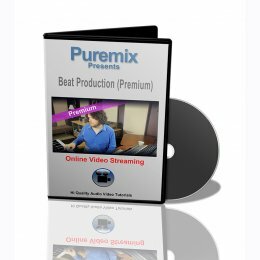 Producer Ben Lindell shows how to produce a R&B beat using his midi keyboard and virtual instruments. He starts with a simple piano idea and then adds the rythmic sections, bass, pads, everything that is needed to achieve a full sounding beat. He also goes through some mixing concepts that you can put into use early in the production stage.